As April approaches, I seriously wonder where February and March have gone. The past two months have gone by in a blur. Between school, work, and both of my parents falling ill, it’s all been a bit mad, to say the least. I’m slowly starting to regain, I wouldn’t say balance, but at least some of the solidity underneath my feet. I’m not a huge fan of change. I like being in control, I always have. I’ve never been a fan of losing control, and I’m starting to come to terms with that as I work through it in therapy. What I’ve always known is that, even when change does occur, I’m able to adapt to most situations quite adeptly and quickly. It’s a built-in and subconscious part of my personality and a manifestation of my personal history. I may present a cool and calm, somewhat cold exterior on the outside, but on the inside I’m wildly swirling tempest of water, trying to grab onto anything to keep me steady and keep me going. Reading has always helped me with finding that point to keep me steady and going, which is why I’m a bit dismayed at the small amount of reading I’ve done the past two months. I finished seven books over the course of February and March. All of seven of those novels were about women, written by women and/or women of colour, bar one exception. They were all stories about women, coming to terms with what life had thrown at them, and finding their voice and their purpose in those journeys to overcome life’s obstacles. They fought for themselves, for others, for what they believed was right and equal and just, and I connected with all of them as I read their stories. I finished reading Courtney Milan’s Brothers Sinister series, and I loved every single moment I got to spend with those characters and their stories. Courtney is an absolutely brilliant author, and this series really does show off how amazing of a writer and storyteller she is. She crafts characters that are human, perfect and flawed in all the best ways possible, and stories that just keep you on the edge of your seat that does leave you feeling absolutely complete when you reach the end of the story. I started off reading the prequel novella to the series, The Governess Affair and it was an illuminating story about fighting for yourself and your place in the world, doing what is right, finding love and comfort in the most unexpected ways, and consent. Consent played a huge part in the story between Serena and Hugo, it’s one that I didn’t expect but was absolutely grateful for. I finished off the series with the last full-length book in the series, The Suffragette Scandal, which was Free and Edward’s story. Again, like many of the female characters that Courtney has created, Free had a steel of spine, a desire for the equality of all women, and was a total girl boss as she ran her own newspaper dedicated to women’s stories from all over Britain at that time. Free was a force of life, and watching Edward fall in love with her and not realize until he was in way too deep was just an absolute delight. The entire Brothers Sinister series is one that I highly, highly recommend everyone to check out and read because it is absolutely brilliant. Electric Arches by Eve L. Ewing was the first book of poetry that I finished this year, and I’m glad that I had the chance to read it. The prose in the book is everything that I thought it would be, lyrical, articulate, beautifully structured, and telling the stories of black women and men in the United States that needs to be heard, desperately. One book that I read this month, for one of my classes, is one that I have some of the fondest memories of. The Paper Bag Princess by Robert Munsch is a classic children’s book and one that still holds up today because of the themes explored in the book. Seeing a princess using her brain to outsmart a dragon, and save her prince (who turns out to be a total douche in the end) and discovering that she doesn’t need anyone to save her but herself, will always be a story that delights me, and one that I hope children continue to read in the future. Reading about women, their stories, stories written by women, about their characters fighting for survival, for a chance at a future of their own choosing, and discovering friends and family, and hope along the way is something I love about reading the books I do. I continued to do just that as I rejoined Maika, Kippa, and Master Ren in Monstress, issues #13-15. I have been waiting months to get back into the deadly and utterly breathtakingly beautiful world that Marjorie Liu and Sana Takeda have created in this comic series, and it was well worth the wait. The more I read, the more I discover about Maika and where she came from and where she is going, and the monster the lurks within her, and I cannot wait to read more. Monstress continues to be my favourite comic series that I’ve ever read. The last book that I finished in March, which I literally finished last night, is Hurts to Love You by Alisha Rai. This is the last book in her Forbidden Hearts series and what a way to end off a series. Eve and Gabe’s story was just everything I could hope for in a romance novel, and absolutely so much more. SO. MUCH. MORE! Seeing Eve and Gabe find each other, love, happiness, and family, together, was just spectacular. Alisha delivered like no one’s business and gives the world a book and a series that is not only impactful in terms of inclusivity and diversity but also the message of hope, to never let go of that hope, no matter how small the flame can dwindle down to. I absolutely loved, LOVED this series and cannot wait to see what comes next from Alisha, and highly recommend that you go pick up this book and series if you haven’t already. I read a lot of romance these past two months, and I don’t regret it, because above all else romance does something that really no other genre in fiction does for me, and that is that it gives me joy and hope, and the belief that there will always be a light at the end of the tunnel. A message I really needed these past two months. I’m looking forward to seeing what April has in store for me, hopefully, all good things, I hope. And, of course, what books that I will read and stories and characters that I’ll discover over the next month as well. What you described about change captures exactly how I deal with changes. I need to catch up with the Forbidden Heart series. I read and loved the first book, but I haven’t gotten around to the other books. Definitely pick up the other two in the series. They are both well worth the read! 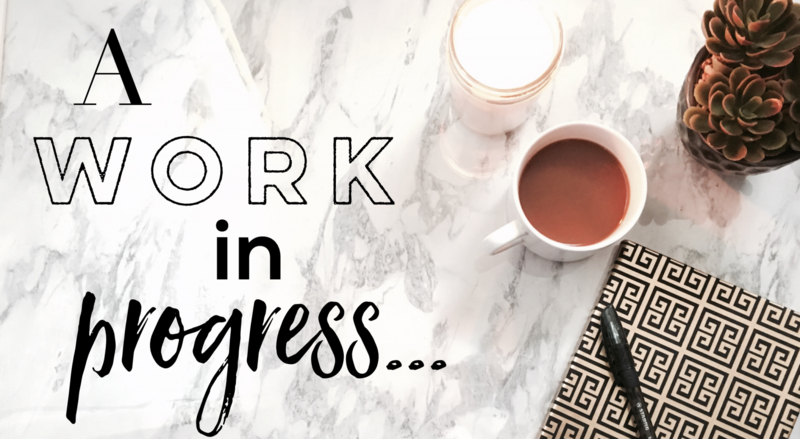 Previous Previous post: What’s on my romance TBR list?